Since the 1930s, parabens have been employed widely as preservatives in food, pharmaceutical, and personal care products. These alkyl esters of benzoic acid occur naturally in a broad range of plant species, where they are thought to enhance overall fitness through disease resistance and allelopathy. Current manufacture of parabens relies on chemical synthesis and the processing of 4-hydroxybenzoate as a precursor. A variety of bio-based production platforms have targeted 4-hydroxybenzoate for a greener alternative to chemical manufacturing, but parabens have yet to be made in microbes. Here, we deploy the plant enzyme benzoic acid carboxyl methyltransferase together with four additional recombinant enzymes to produce methylparaben in Escherichia coli. The feasibility of a tyrosine-dependent route to methylparaben is explored, establishing a framework for linking paraben production to emerging high-tyrosine E. coli strains. 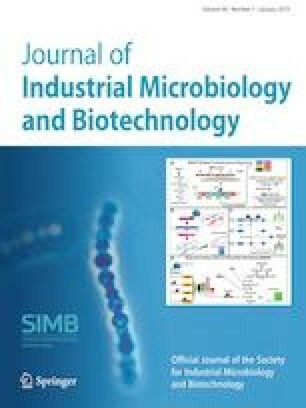 However, our use of a unique plant enzyme for bio-based methylparaben biosynthesis is potentially applicable to any microbial system engineered for the manufacture of 4-hydroxybenzoate. The online version of this article ( https://doi.org/10.1007/s10295-018-2102-9) contains supplementary material, which is available to authorized users. Funding from the Government of Alberta was provided to PJF through the Biorefining Conversions Network.